Dadhikot WEP are going . Women Education Program has started in Tamang village. 15 interested women have come to study till now. Not only the old ones, but even 3 young girls below 19 years, who were unable to study in their childhood, have come to study. They said that they did not get a chance to study since they had to do their household works and also that the schools were too far. They are very happy to get this opportunity to study. They want to at least be able to write a letter. All of them are from Tamang community. All are from age 16to 48 from Tamang village. None of them know Nepali alphabets. There is no school nearby. So the students are studying by sitting on the floor. I bought them 3 mats made of straw. They study by sitting on that. They finish their work in field and start their class at around 7:30 pm. Everyone is very excited to study. I had gone to check the class. It is quite far. We need to walk for a few minutes. the road is difficult and it gets dark while returning. So it is not possible to visit there quite often. I had gone there with Subita teacher’s uncle. Even there is a problem for electricity. There is a need for an emergency light, similar to that in Dadikot. About the salary for the teacher, first I will find out her salary in the school and will decide it. I don’t think it will be good to give the salary more than that given in the school. I think Man Kumari’s salary is less than the WEP’s teacher’s salary. The students of Tamang village are as follows. 2 more mothers are admitted in WEP of Dadikot. All are studying with full effort. Few days back, I had talked to them about the study. I asked them how they felt when they met the Japanese supporters and what is their experience before and after studying? Their answer is given below. Nanu Thapa: I was very happy to meet them, who had come from such a far place and I am very happy to get a chance to study. Laxmi Giri (new): I could not study before but I have learnt a lot in these two months. I aim to take it even further. Kalpana Khadka: we could not even read the first alphabet and write our name but now we can do it. We can even read what is written in the hoardings. We were very pleased to meet the Japanese guests. 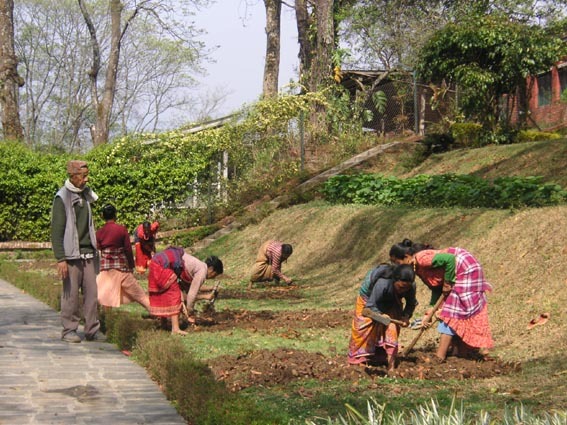 Saraswati Thapa: we could not read and write but now we can. I was so haapy to meet them and I want to meet them again. The students getting scholarship are all fine and healthy. Their 1st term will start in a few days. i will send their photos and reports in the next mail. I hope you are all fine there and everything is going on well in spite of the rainy season in Japan. Here, in Nepal, we are also having rain almost daily. Farmers have started sowing rice since June 29th (Ashad 15) here and there in their fields. 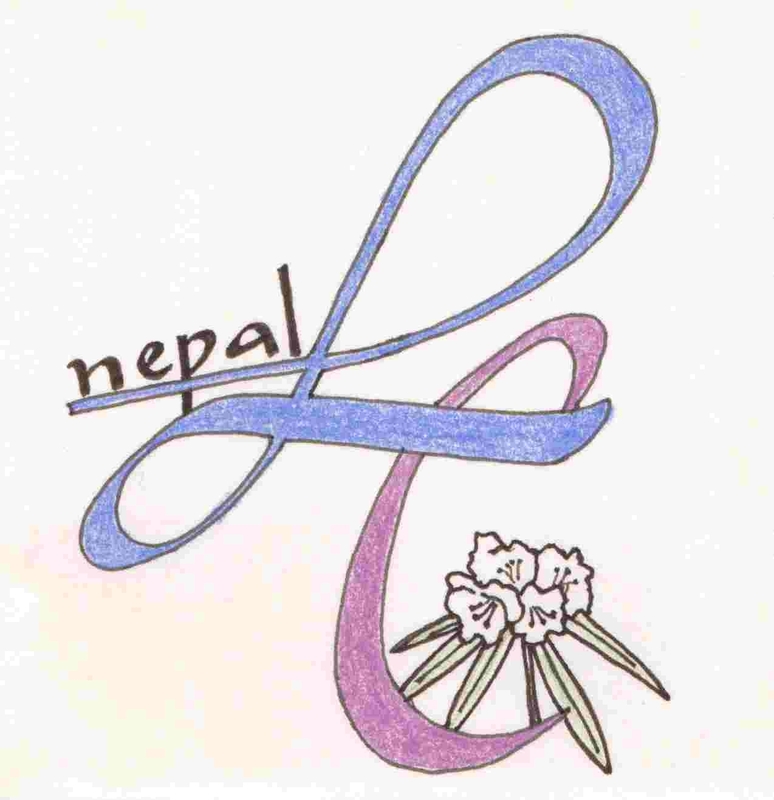 First of all, I have to thank you very much for deciding to provide a support to Chetana Women School of Kathmandu. I am thankful to Mr. Moti Ghimire, who gave his valuable time to visit the school and meet the school principal, teachers and the students and encouraging them to study more. I hope any small kind of support from the organization like, Laligurans club, will be a great help to the school, which aims to educate more number of women and empower them. Thus I would also like to personally thank you all for your kind support and interests. Currently, I am in Kathmandu for my delivery which is expected to be in mid August. Since it is my first delivery, I am quite worried but hope and pray that everything will go well. Thus I might not be able to write interesting articles (as before) for some time but I will be writing to you regarding my new news and progress as far as I can from Nepal as well. I wish and pray for your good health.